"Helping people live as well as possible for as long as possible." Netflix has unveiled an official trailer for an acclaimed new documentary titled End Game, made by filmmakers Rob Epstein & Jeffrey Friedman (of Howl, Lovelace, The Times of Harvey Milk). This short doc (runs in total 40 minutes) already played at the Sundance Film Festival earlier this year as an officially selected short film. End Game goes inside two San Francisco Bay Area medical facilities offering graceful death. Filmed and edited in intimate vérité style, this work follows visionary medical practitioners who are working on the cutting edge of life and death -- and dedicated to changing our thinking about both. This looks very intriguing and eye-opening, which is always good for a documentary. It seems like it's going to be a very tough watch, and a real punch to your emotions. Where will loved ones spend their last days? Who will be in the room? What feelings and secrets need to be shared with family before it is too late? 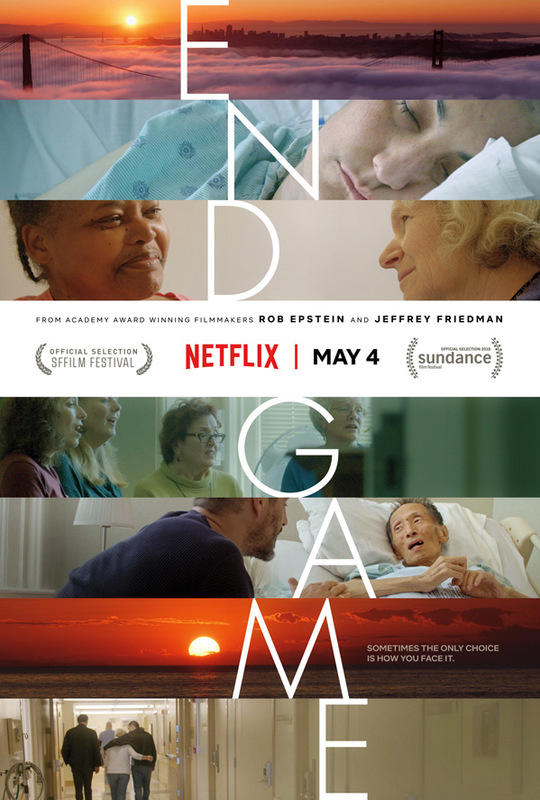 Acclaimed Academy Award-winning filmmakers Rob Epstein and Jeffrey Friedman probe these questions and more in the context of two San Francisco Bay Area medical facilities on the forefront of creating new paradigms for end of life decisions with grace. End Game is co-directed by filmmakers Rob Epstein & Jeffrey Friedman (both of Howl, Lovelace, The Times of Harvey Milk, The Celluloid Closet, Paragraph 175). This first premiered at the Sundance Film Festival this year, and the San Francisco Film Festival. Netflix debuts the doc End Game streaming exclusively starting May 4th.